QuestBridge at Vassar strives to create a comfortable and supportive community for low-income and first generation students on campus, as well as to increase and promote the opportunities available for our community. This includes networking, mentoring, and conducting workshops with students on campus— for both QuestBridge Scholars and any other student interested in joining us— as well as working with grade school students in the surrounding community. Vassar QuestBridge Scholars are recognized as an official organization with Vassar College and receive funding and support through the Student Association. We often collaborate with Transitions, a program that helps low-income and first generation students adjust to Vassar life. 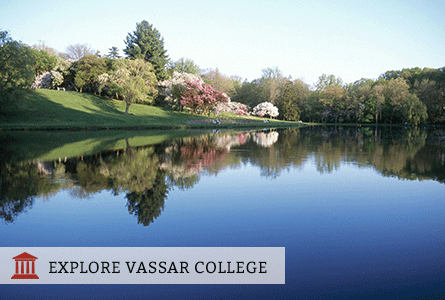 Our organization works with admissions to welcome prospective QuestBridge Scholars in the spring, during Vassar’s Focus week. During the year we host a variety of events and opportunities: alumni panels, helpful college workshops, mentoring group meet-ups, major-specific discussions, high school workshops, and study breaks. One of our most exciting events (in collaboration with Transitions) was a professor networking dinner, where students, professors, and faculty members from low-income backgrounds shared a family-style meal together and discussed what it means to be in a student at a top-tier institution and how to navigate that world. This was a great opportunity to make valuable connections and learn from others’ experiences. We also hold many other dinners, including an annual Thanksgiving dinner for those on campus and a Fall Cookie making event! We hope that you will join our chapter on your college quest.